Nur Atika Masbah, Syarifah Zyurina Nordin and Rashidah Ahmad, ” Binary Linear Programming Model in Solving Bus Crew Problem as Tactical Fixed Task Scheduling”, 14th International Symposium on Geometric Function Theory and Applications (GFTA 2018), December 2018, Selangor. Syarifah Zyurina Nordin, Shariffah Suhaila Syed Jamaludin, Fuaada Mohd Siam dan Hamisan Rahmat, “Persepsi Pelajar Sekolah Terhadap Subjek Matematik Tambanan”, The 2nd International Conference on Science, Technology, Engineering and Mathematics Education 2018 (ICSTEM 2018), October 2018, Kuala Lumpur. Wong Kiing Ling, Syarifah Zyurina Nordin and Rashidah Ahmad, ” Disjunctive Programming as Initial Solution for Tabu Search in Solving Job Shop Scheduling Problem”, International Seminar on Mathematics in Industry & International Conference on Theoretical and Applied Statistics 2018 (ISMI-ICTAS 2018), September 2018, Kuala Lumpur. Wong Kiing Ling and Syarifah Zyurina Nordin, “Disjunctive Programming-Tabu Search (DP-TS) for Job Shop Scheduling Problem”, International Conferences on Engineering, Life Sciences and Social Sciences (ICEL3S2018), February 2018, Melaka. Nurhafizahtulhusna Hidzir and Syarifah Zyurina Nordin, “Vertex and Edge Coloring Method in Solving Timetabling Problem”, Simposium Kebangsaan Sains Matematik ke-25 (SKSM25), August 2017, Kuantan, Pahang. Bahriah Malik and Syarifah Zyurina Nordin, “Mathematical Model for Timetabling Problen in Maximizing the Preference Level”, Simposium Kebangsaan Sains Matematik ke-25 (SKSM25), August 2017, Kuantan, Pahang. Zaitul Marlizawati Zainuddin, Akbar Banitelebidehkorbi, Syarifah Zyurina Nordin, Nur Arina Bazilah Aziz and Farhana Johar, “ Optimization of UTM Bus Services”, International Seminar on Mathematics in Industry 2017 (ISMI2017), August 2017, Johor Bahru, Johor. Syarifah Zyurina Nordin and Lou Caccetta, “Heuristic Algorithms for scheduling with arbitrary release date in Identical Parallel Processor System”, 2nd International Conference on Mathematical Sciences & Statistics (ICMSS 2016), January 2016, Kuala Lumpur. Syarifah Zyurina Nordin and Lou Caccetta, “Heuristic Algorithms for scheduling with arbitrary release date in Identical Parallel Processor System”, Simposium Kebangsaan Sains Matematik ke-25 (SKSM25), November 2015, Johor Bahru. 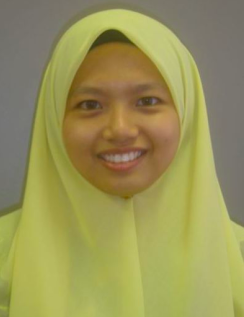 Siti Asnor Faraien binti Hassan and Syarifah Zyurina Nordin, “ Waste Collection Vehicle Routing using Tabu Search Algorithm”, International Conference on Mathematics, Engineering & Industrial Applications 2014 (ICOMEA 2014), May 2014, Pulau Pinang. Chong Kok Chun and Syarifah Zyurina Nordin, “ An Integer Programming Model for Gate Assignment Problem at Airlines Terminals”, International Conference on Mathematics, Engineering & Industrial Applications 2014 (ICOMEA 2014), May 2014, Pulau Pinang. Syarifah Zyurina binti Nordin and Louis Caccetta, “MILP Model for Resource Disruption in Parallel Processor System”, The 2nd ISM International Statistical Conference 2014 with Application in Sciences and Engineering (ISMI-II), August 2014, Kuantan, Pahang. Syarifah Zyurina Nordin and Lou Caccetta, “Heuristic Algorithm For On-Line Scheduling And Arbitrary Release Date In Identical Parallel Processor System”, Statistics And Operational Research International Conference 2013 (SORIC 2013), December 2013, Kuching, Sarawak. Syarifah Zyurina Nordin and Lou Caccetta, “Task Rescheduling Model For Resource Disruption Problem In Unrelated Parallel Processor System”, Simposium Kebangsaan Sains Matematik Ke-21 (SKSM 21), November 2013, Pulau Pinang. Syarifah Zyurina Nordin and Lou Caccetta, “Online Scheduling In Minimizing Makespan on Identical Parallel Processor with Release Date”, 4thICOWOBAS-RAFFS 2013, September 2013, Senai, Johor. Syarifah Zyurina Nordin and Lou Caccetta, “Observation on differential stopping criteria of computation time for unrelated parallel processor programming model”, Prosiding Simposium Kebangsaan Sains Matematik ke 19 (SKSM 19), Nov 2011, Pulau Pinang. Lou Caccetta and Syarifah Zyurina Nordin, “Algorithm for task scheduling with priority in minimizing makespan for unrelated parallel processors”, The 8th International Conference on Optimization: Techniques and Applications, Dec 2010, Shanghai China. Lou Caccetta and Syarifah Zyurina Nordin, “MILP model in minimizing makespan with priority for unrelated parallel machines”, Proceedings of the Intermational Conferences of Optimal Control and Optimization (ICOCO2010), July 2010, Guiyang China. Syarifah Zyurina Nordin and Lou Caccetta, “A Heuristic to Minimize Makespan in Dynamic Task Scheduling Multiprocessor”, 5th Asian Mathematical Conference (AMC 2009), 22 – 26 June 2009, Kuala Lumpur. Syarifah Zyurina Nordin and Haszuraidah Ishak, “Sliding Mode Tracking Controller for Hydraulic Robot Manipulators”, 2nd International Conference on Mathematical Sciences (ICOMS 2007), 28 – 29 May 2007, UTM Skudai Johor. Zuraini Ali Shah, Syarifah Zyurina Nordin and Norhanim Abdul Samat,”CoLMIS: Sistem Maklumat Pengurusan Kepimpinan Kolej”, Persidangan Pembangunan Pelajar Peringkat Kebangsaan (NASDEC 2006), 8-9 Aug 2006, Kuala Lumpur. Norhanim Abdul Samat, Azanizawati Ma’aram, Syarifah Zyurina Nordin and Zuraini Ali Shah, “The impact of facilities and surrounding on student choice of residential colleges”, Seminar Pengurusan Asrama Peringkat Kebangsaan, 27-30 Nov 2005, Melaka.